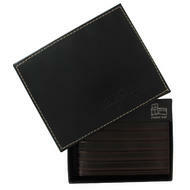 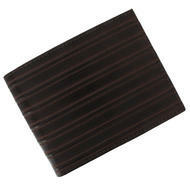 This is a handsome brown tooled leather bifold wallet from WCM's diMENsions line. 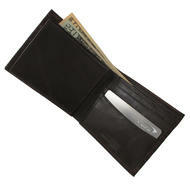 This wallet has two large pockets for bills, several credit card pockets, and a separate clear pocket for identification. 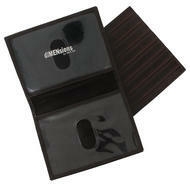 Handcrafted and boxed in a black leather presentation box.